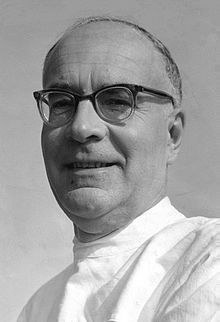 Felix Heinrich Wankel (13 August 1902 – 9 October 1988) was a German mechanical engineer and inventor after whom the Wankel engine was named. Wankel was born in 1902 in Lahr in what was then the Grand Duchy of Baden in the Upper Rhine Plain of present-day southwestern Germany. He was the only son of Gerty Wankel (née Heidlauff) and Rudolf Wankel, a forest assessor. His father died in World War I. Thereafter, the family moved to Heidelberg. He went to high schools in Donaueschingen, Heidelberg, and Weinheim, and left school without Abitur in 1921. He learned the trade of purchaser at the Carl Winter Press in Heidelberg and worked for the publishing house until June 1926. He and some friends had already run an unofficial afterwork machine shop in a backyard shed in Heidelberg since 1924. Wankel now determined to receive unemployment benefits and to focus on the machine shop. One of his friends, who had graduated from university, gave his name and transformed the shop into an official garage for DKW and Cleveland motor bikes in 1927, where Wankel worked from time to time until his arrest in 1933. During the early 1920s Wankel was a member of various radical right-wing and anti-Semitic organizations. In 1921 he joined the Heidelberg branch of the Deutschvölkischer Schutz und Trutzbund and in 1922 he became a member of the NSDAP, the National Socialist German Workers Party (or "Nazi Party") , which was banned soon afterwards. Wankel founded and led youth groups associated with a cover-up organization of the NSDAP. With them he conducted paramilitary training, scouting games and night walks. When his high esteem for technical innovations was not widely shared among the German Youth Movement, he was offered instead the opportunity to talk about the issue of technology and education to Adolf Hitler and other leading National Socialists in 1928. In the meantime Wankel's mother had helped founding the local chapter of the NSDAP in his hometown Lahr. Here Wankel not only rejoined the party in 1926, but also met Gauleiter Robert Heinrich Wagner. In 1931 Wagner entrusted Wankel with the leadership of the Hitler Youth in Baden. But both soon fell out with each other, because Wankel tried to put a stronger emphasis on military training, whereas Wagner wished for the Hitler Youth to be a primarily political organization. In a particularly bitter and ugly controversy Wankel publicly accused Wagner of corruption. Wagner paid back by stripping Wankel of his office by early 1932 and managed to have him expelled from the party in October 1932. Wankel, who sympathized with the social-revolutionary wing of the NSDAP among Gregor Strasser anyway, then founded his own National Socialist splinter group in Lahr and continued his attacks on Wagner. Since the Nazi's seizure of power on 30 January 1933 had strengthened his position, Wagner had Wankel arrested and imprisoned in the Lahr jail in March 1933. Only by intervention of Hitler's economic adviser Wilhelm Keppler with Hitler himself, Wankel was set free in September 1933. Keppler had been a friend of Wankel's and an ardent supporter of his technological endeavors since 1927. He now helped Wankel to get state contracts and his own Wankels Versuchs Werkstätten in Lindau. Wankel tried to rejoin the NSDAP in 1937, but was turned down. By the help of Keppler, however, he was admitted to the SS in 1940 in the rank of Obersturmbannführer. Two years later his membership was revoked, though, for reasons yet unknown. During World War II, Wankel developed seals and rotary valves for German air force aircraft and navy torpedoes, for BMW and Daimler-Benz. After the war, he was imprisoned by France for some months in 1945 and his laboratory was closed by French occupation troops. Wankel's work was confiscated and he was prohibited from doing more work. However, by 1951, he got funding from the Goetze AG company to furnish the new Technical Development Center in his private house in Lindau on Lake Constance. He began development of the engine at NSU Motorenwerke AG, leading to the first running prototype on 1 February 1957. Unlike modern Wankel engines, this 21 horsepower version had both the rotor and housing rotating. His engine design was first licensed by Curtiss-Wright in New Jersey, United States. On 19 January 1960 the rotary engine was presented for the first time to specialists and the press in a meeting of the German Engineers' Union at the Deutsches Museum in Munich. In the same year, with the KKM 250, the first practical rotary engine was presented in a converted NSU Prinz. At this time the "Wankel engine" became synonymous with the rotary engine, whereas previously it was called the "Motor nach System NSU/Wankel". At the 1963 IAA, the NSU company presented the NSU Wankel-Spider, the first consumer vehicle, which went into production in 1964. Great attention was received by the NSU in August 1967 for the very modern NSU Ro 80, which had a 115-horsepower engine with two rotors. It was the first German car selected as "Car of the Year" in 1968. In Japan, the manufacturer Mazda solved the engine's chatter marks problem. The engine has been successfully used by Mazda in several generations of their RX-series of coupés and sedans, including the Mazda Cosmo, R100, the RX-7 and more recently the RX-8. Mercedes-Benz completed its C111 experimental model in 1969 with 3-rotor Wankel engine. In 1970, the next model had a 4-rotor Wankel engine and could reach top speed 290 km/h but never reached serial production. Wankel became a success in business by securing license agreements around the world. By 1958 Wankel and partners had founded the "Wankel GmbH" company, providing Wankel with a share of the profits for marketing the engine. Among the licensees were Daimler-Benz since 1961, General Motors since 1970, Toyota since 1971. Royalties for the Wankel GmbH for licensure were 40%, later 36%. In 1971 Wankel sold his share of the license royalties for 50 million Deutschmarks to the English conglomerate Lonrho. The following year he got his Technical Development Center back from the Fraunhofer Society. He never had a driver's license, because he was extremely near-sighted. He was, however, the owner of an NSU Ro 80 with a Wankel engine, which was chauffeured for him. In 1969, Wankel was granted an honorary Doctorate of Engineering from Technical University Munich. He was known for his championing of animal rights and opposition to the use of animals in testing. Wankel died in Heidelberg, aged 86. His grave may be found in the Bergfriedhof of Heidelberg. After his death, the Felix Wankel Foundation sold its real estate property to Volkswagen AG. The Heidelberg Fire Department showcases his last workshop. Wankel's papers are archived in the Technoseum in Mannheim. Furthermore, there is an exhibition "AUTOVISION · Tradition & Forum" in Altlußheim, a permanent showing of over 80 rotary engines and many cars equipped with Wankel motors. Honorary doctorate degree from Technische Universität München, 5 December 1969. John Price Wetherill Medal, Philadelphia, 1971. ^ Wankel-Jubiläum: Warten aufs Wunder, Der Spiegel, 21 January 2007. Wikimedia Commons has media related to Felix Wankel. Animated Engines, Wankel – Animations of Wankel and other engines, i.e. steam, stirling, internal combustion.